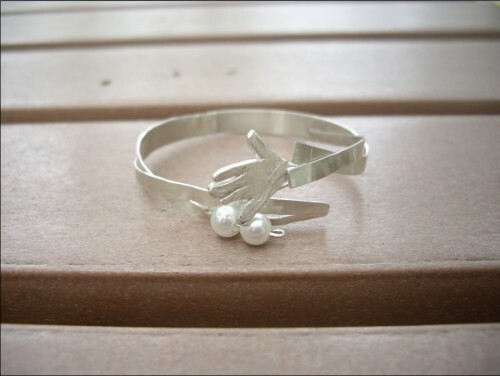 A silver ring with a shape of hand for my mother. It is a resemblance of holding my mother’s finger. I remember when I was a child, my hand is too small to hold my mother’s hand. I held her index finger instead with my tiny hand. Putting this picture into this wearable piece, I hope this piece of work can bring such memory to my mother.